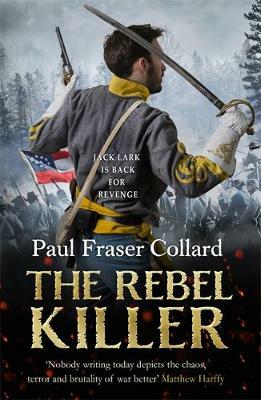 Paul Fraser Collard's roguish hero Jack Lark - dubbed 'Sharpe meets the Talented Mr Ripley' - returns once more, switching sides to join the ranks of the Confederate Army. This latest adventure will see Jack journey through the Southern states as the American Civil War continues in earnest, and is a must-read for fans of Bernard Cornwell and Simon Scarrow. Virginia, 1861. With his comrades defeated, Jack turns his back on the battlefield. At heart he's still a soldier, but this wholly uncivil war has left him wanting something - and someone - more. Lost in the woods with the Confederate army closing in, Jack will stop at nothing to protect Rose and the future they might share. Then one bullet changes everything and Jack wakes up in a military hospital - alone. Broken but determined, he sets out on an epic journey across the Confederacy disguised in the grey coat of his one-time enemy. He will find the man who destroyed his life. Jack Lark is out for revenge.